Hidden Kisses is a touching out story about two boys in love facing great adversity. Lead actors Berenger Anceauz and Jules Houplain have great chemistry and make their puppy love shine on screen. 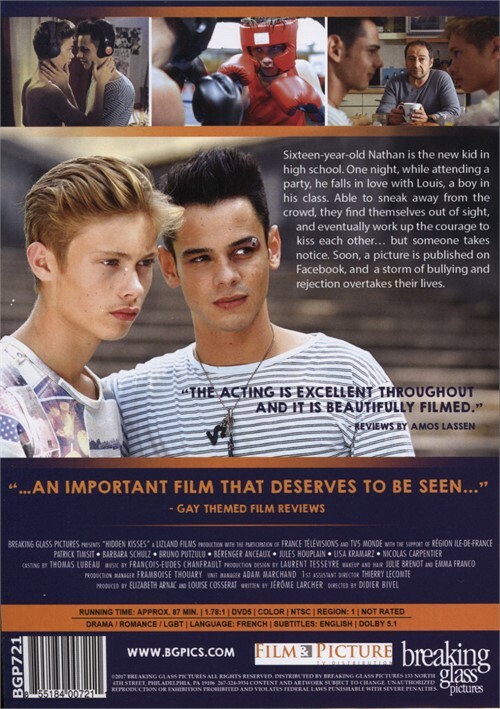 The film has earned some glowing reviews from festivals. New Video called it "a touching love story" and Gay Themed Film Reviews called it "an important film that deserves to be seen"